December 2016. Softcover. 304 pages with over 100 illustrations and an index. Designed by Jessica Fleischmann/still room. Leading modernist scholar Éva Forgács corrects long-standing misconceptions about Hungarian art while examining the work and social milieu of dozens of important Hungarian artists, including such figures as László Moholy-Nagy and Lajos Kassák, to paint a fascinating image of 20th century Budapest as a microcosm of the social and political turmoil raging across Europe between the late 19th century and the collapse of the Soviet Era. Read more excerpts and download the full review by Dr. Botar here. Éva Forgács is a brilliant guide to the history of modern and contemporary art in Hungary. These essays—whether appraising the achievements of Modern Movement heroes like László Moholy-Nagy or excavating the overlooked practices of neo-avant-garde artists of the 1970s and 1980s—combine deep understanding of modern art with a critical perspective on the many myths which have been attached to it. Hungarian modernism now seems far more vivid. Éva Forgács has a remarkable ability to condense her cosmopolitan breadth of scholarship into admirably coherent, easily comprehensible writing. She situates the subject of her research within the broader sociocultural context of its times in such a readable manner that it is informative for the layperson and professional alike. We come away with the feeling that our time has been well spent indeed. Her publications exemplify art history at its best. The leading English-speaking expert on Hungarian art from the avant-garde of the pre-World War I years to the present, Forgács is as astute in confronting Hungarian politics and the nation’s cultural development as she is at elucidating the nature of the artworks themselves. A dazzling intellectual performance. Hungarian modernism may be a terra incognita for many but the distinguished art historian Éva Forgács is an invaluable guide to the territory. Her essays are shafts of light illuminating a complex terrain which is not only located at the center of Europe but, given the seismic political shifts that have occurred there, central to the history that defined the 20th century. A pioneering intellectual survey of Hungarian art in the long twentieth century. Populated by extraordinary figures such as Béla Balázs, whose dream of a great new Hungarian culture amounted to the founding of a new “religion of art,” this authoritative book repositions cultural giants such as László Moholy-Nagy, Lajos Kassák, and György Lukács within a series of fascinating interpersonal, philosophical and political fields. Forgács also entices readers to engage with a host of less well known artists and forgotten initiatives: the European School; the transcendentalist revivers of Malevich; the exponents of the postmodern ‘new sensibility’ of the 1980s; the post-socialist post-constructivists of the 1990s. She challenges canons and attacks key questions head on, provocatively exploring, among other things, whether or not “democracy grows under pressure.” The culmination of decades of sustained research, this erudite publication is an immensely precious resource and a vital contribution to the further exploration of the rich intertextual fabric of European art as a whole. Forgács’ book can be heartily recommended to anyone curious about the history of modernism and avant-garde art in Hungary. It is an informative, readable overview enhanced with a variety of viewpoints and excellent examples. Most importantly, it takes on the task of familiarizing an English-speaking audience with Hungarian art. 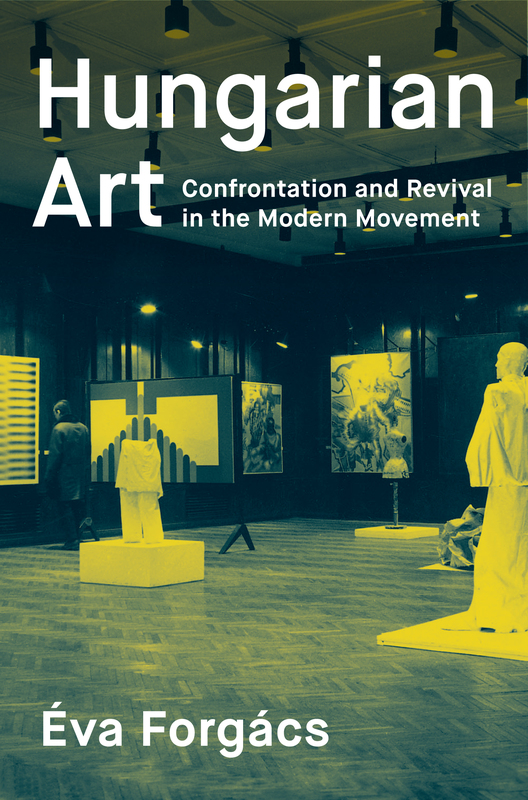 Forgács’ critical intervention is a first step in redrafting the history of Central European modern art, within which national art histories can show their own inner dynamic. Dr. Éva Forgács, formerly professor of art history at László Moholy-Nagy University in Budapest, has been teaching at Art Center College of Design in Pasadena, California since 1994. She has a Ph.D. in Art History from the Hungarian Academy of Sciences. A former curator at the Hungarian Museum of Decorative Arts and visiting professor at UCLA, she has also been active as a curator and art critic, and has published several books both in her native Hungary and in English, including The Bauhaus Idea and Bauhaus Politics (Central European University Press, 1995; Jelenkor, 2010). She co-edited Between Worlds: A Sourcebook of Central European Avant-gardes 1910–1930 (MIT Press and LACMA, 2002) and has published a number of essays and monographs on various aspects of Modernism in edited volumes, textbooks, and journals.